The summit provides a forum to discuss the latest practices, opportunities, resources and tools for addressing diabetes prevention, control and management. 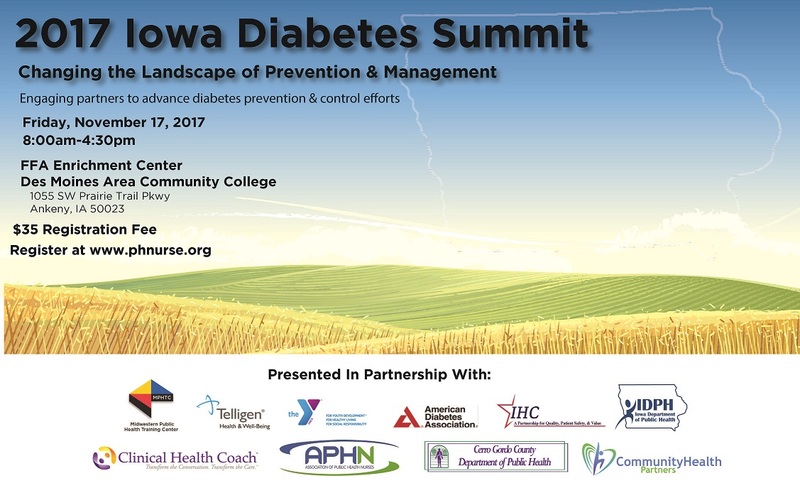 National, state and local experts will share innovative strategies for reducing the burden of diabetes and Iowa. November is National Diabetes Awareness Month. At Telligen, we offer solutions to address members with diabetes and those at risk for being diagnosed in the future. For more information, click here. To learn more about the diabetes epidemic, click here to download a white paper by Dr. Paul Mulhausen.